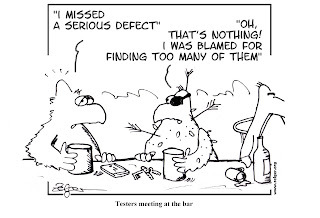 Please excuse my short excursion away from my traditional cartoons about software testing. But this one is worth looking at, since it is related to testing indirectly. My family and me just came back from a superb holiday trip at Greece Island Kos. We also made a short trip to Bodrum, Turkey. While we were eating traditional Kebap there, I looked at the building vis-a-vis and was wondering about the architecture of the balconies. Something was wrong with them but I couldn't immediately figure out what it was. After a while I suddenly realized that the sea-side balcony at the second floor had no French window, meaning, it was unreachable. Then I saw that there was another one with the same "pattern" just below in the first floor. Fine, no doors. But why need a balcony there if you can't reach it? As a tester, my first thought was, it must be a bug, maybe an architectural bug,..no idea, just kidding! Maybe the two balconies where there just to achieve some kind of symmetry. My theories didn't make sense and so I asked the waiter at our restaurant whether he can tell me more about this special "feature" at the white sea-side building vis-a-vis. He didn't really see the problem outright and when he finally noticed, he stood on the sidelines for a moment . Then he explained to me what he was assuming. He thought the doors had been closed with masonry because of the strong wind and because of too much sun at this side of the building. Then I noticed him calling one of his colleagues and pointing to the abnormal balcony. Few seconds later a third colleague came by and all together were discussing excitingly the anomaly they/me just detected. After a while, the waiter came back to me and confessed that he'd never noticed this issue before even though he was working in the restaurant for several years. He and his colleagues, too, were fascinated about the missing doors and the waiter expressed to me some kind of amazement about how I as a tourist are looking at things. 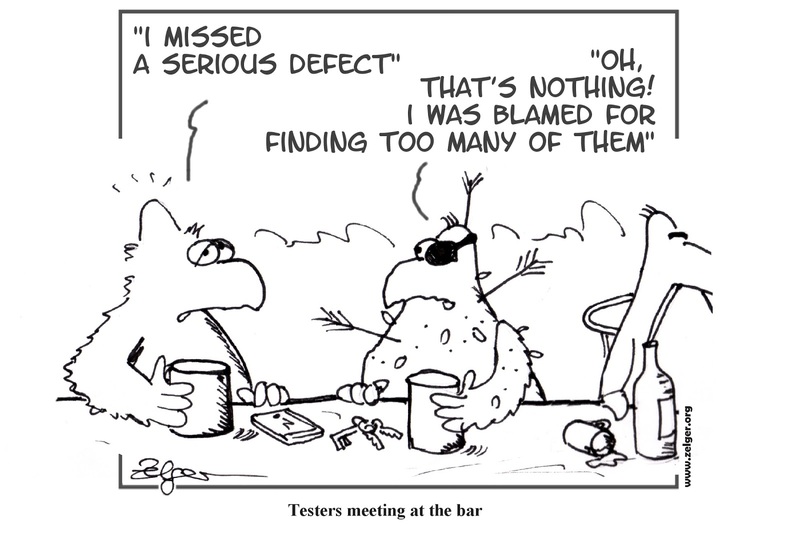 Testing is a thankless job. The tester's job is to tell a developer or a business analyst that "their baby is ugly" and it is difficult to stay friends after that. If you try to be polite and ignore the ugly baby, it is just a matter of time until the customer faces you with the same conclusion or even worse when he states that ALL your babies are ugly.